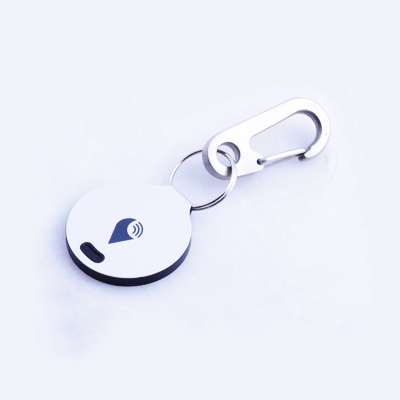 There are plenty of Bluetooth Trackers out there. They all perform in more or less the same way. Using the phone’s Bluetooth connection, you can check if something is within range. If in range, you can make the tracker utter some beeps and then you can locate it. Similarly if you can’t find your phone, you can easily use your tracker to find your phone as well, by making it ring using the tracker. TrackR’s Bravo tries to take all that, and take things up a notch. While there is a basic application of being able to use your phone’s GPS to track the last location of your device, it also employs something we haven’t seen before. 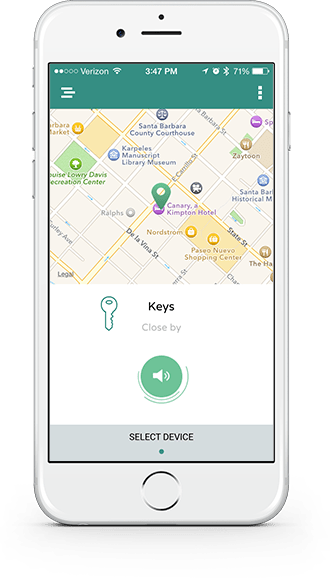 They call it Crowd GPS and it relies on other TrackR users helping you locate your device as well, and not just relying on your own phone. The device is not that different from the size of a regular 50p coin. It is around the same thickness as that of a pound coin, and it weighs less than that. The device can be opened up to change the battery if needed. It can easily be attached to a keychain, or a pet collar. The app is pretty basic and presents most of the information you expect from such a service. We do have a location on a map, but really, that location is of your phone when the device was detected, and not the device itself. Yeah, you may be able to get other phones who have the TrackR app installed tell you where the device is located, but it is also only really telling you the location of where the phone was when it was detected. Other than that, the app can help you see more information about the device such as battery information, as well as help name your devices so you can easily track them. The Crowd GPS feature was my main attraction to use this device. The main idea is that if you have TrackR app installed on your device, it will be able to track any TrackR device, not just the ones you have registered. This will mean that if you lose something, and it is not in your phone’s Bluetooth range, it can still be found as long as it is in the range of anybody else with the TrackR app installed. The catch? You need other people to have the TrackR app installed. Looking at the website paints a pretty optimistic picture. 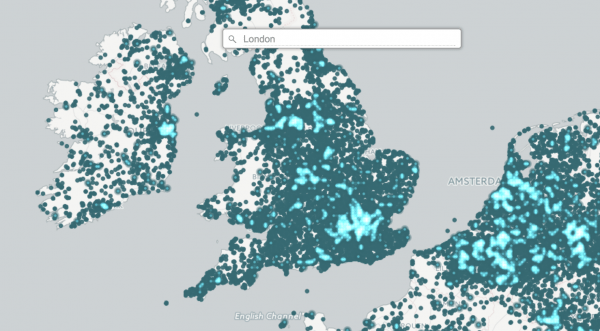 As you can see, the more populated areas are the ones with more coverage. Let’s now look at the UK coverage. The spots may not be as bright as that in the USA, but it still gives a pretty good coverage. Not bad, but the coverage is patchy at best. 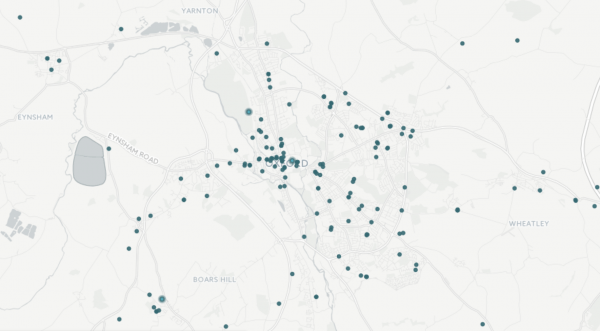 As you can see, there are a handful of people in the OX postcode who own a device. That means that there isn’t much coverage where I live. My way of dealing with this was to make sure I had extra devices in my house running this, even when I wasn’t using them. Hopefully some of the dots you see up there are me! Either way the premise is good, but sadly we just don’t have enough people using this for that feature to work as best as it could. I did get one notification in the last month where I was told by the app that I helped somebody else find their item. This was at Gatwick Airport, London. How well does it work otherwise? So if the Crowd GPS doesn’t work, how well does it work otherwise? Not too bad. It does exactly what you want it to do, as long as you are within range. Something is missing, just use the app to find it? If it is out of range, just walk around till you get within range. Can I use this on my pets? I did! I wanted to try this on my cats, to see if I could locate them when they are out and about. This is definitely light enough to be attached to a collar, but still a bit big for a small cat. While it can’t find them when they are out of range, which is normal, it is handy to know via the app when the last time they were detected by the app, so you know that they weren’t gone too long, or have nipped in and out of the house at times. One thing I discovered though, which killed the device. This is not waterproof, and when cats drink water, this may end up in there! The other one has now gone back to being attached to keys! So, how does one solve the problem with it getting wet? 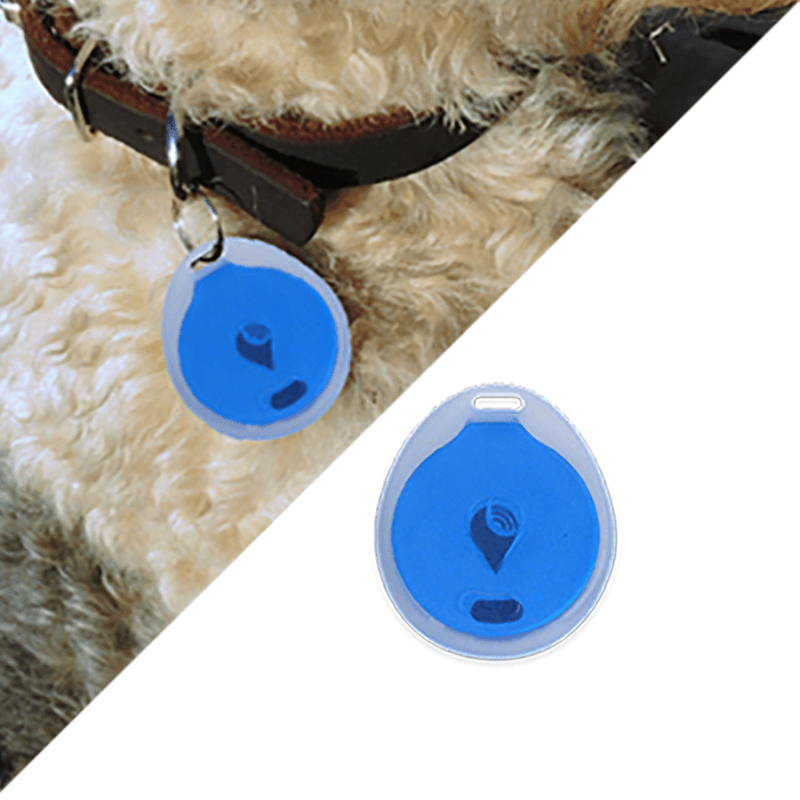 TrackR have already thought of a solution, and I really should have checked their website before putting one on our cat’s neck. There is a Water Resistant Case for such needs. You also have a metal carabiner to easily attach it on or off pets. Both of these can be found on the TrackR website. 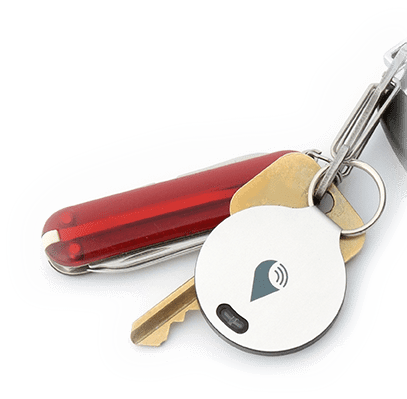 More information on the TrackR Bravo can be found on the TrackR website. The device can be bought from various online retailers, such as Amazon and retails for around £27.50. This is a pretty decent tracker that offers more than your average one. However, do check out the coverage in your area. Next story Review: Ekster Parliament Wallet – Fully featured wallet! This a totally FAKE device, I wasted 128$ and I bought 8 to give as gift to friends and family. This devices never worked, I tested in a cat, and always was in SEARCHING, even the cat was in my hands, the device application was SEARCHING the cat. I re-install the apoplication, I changed the batteries, nothing WORK at all. All the 8 devices did not work and my friends were thinking I JOKED with them. DO NOT BUY IT, you will be regret. Hi Angel, sorry to hear that. My experience was quite the contrary. While it’s not always perfect, it does work as stated in the review.